The month of May is almost over and this means that the high season has come to an end. Although, the amount of tourists will be lower the next few months, there is still more than enough to do for everyone. Even during the low season we have many different programs that can still be enjoyed. Keep reading to discover which of our current programs can be booked all year round and to read more about two new tours we offer. Click on the links provided below for more information about each of the tours. Depending on the experience you’re looking for we have a broad offer of homestays in different villages along the Andaman Coast. Immerse in the local culture at the Muslim village of Ban Talae Nok on the North Andaman Coast. Participate in handicraft demonstrations, enjoy a local barbeque dinner on the beach, and relax in the quaint atmosphere of this community. 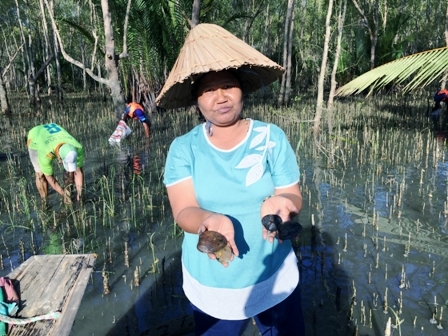 Explore the local nature with a mangrove tour in the forest surrounding the village. 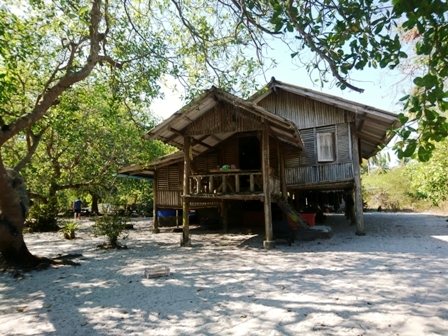 Experience a unique homestay on Koh Phratong Island in the Moklan village of Tung Dap, an ideal place for an eco tour based on local livelihood activities. Learn the traditional culture and stories of the Moklan, who used to be a nomadic sea-faring people. Try your hand at fishing on the beach or collecting clams and learn the art and technique behind repairing squid traps with local fisherman. Explore the savannah by tractor on the interior of the island with your local guide, and relax on the long stretch of undeveloped beach. 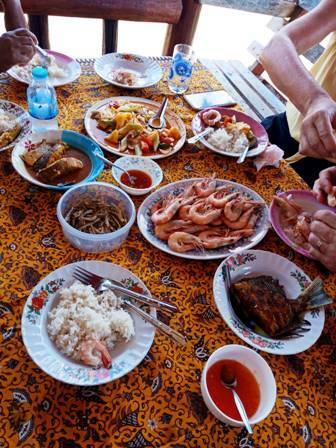 Enjoy the delicious Southern Thai food in your homestay, even a homemade Thai snack! 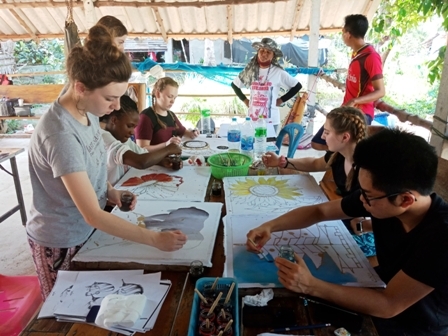 Explore the island of Koh Klang with the locals of Klonglu village and experience the traditional way of life by participating in early morning fishing, the art of creating batik patterns on cloth and learning the craft of long tail boat making. 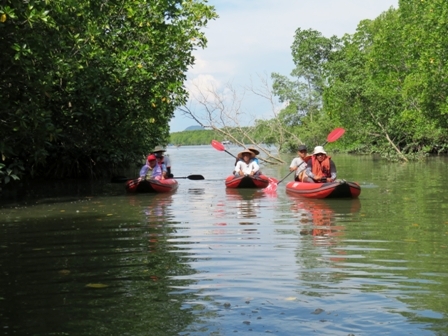 Then head into nature for mangrove exploration from a long tail boat. Immerse in the local culture at the Muslim village of Koh Yao Noi Island. Participate in handicraft demonstrations, enjoy local Thai food, and relax in the quaint atmosphere of this community. Explore the local nature with a trip to the Islands or fishing with the villagers. We are always in search of new communities to join our network and are thrilled to announce two new villages that are enthusiastic about providing community based tourism programs to respectful guests. Immerse in the local culture at the Lee Led village of Surat Thani province. Watch handicraft demonstrations about local products, enjoy local Thai food, and relax in the quaint atmosphere of this community. Explore the local nature with a trip to the mangrove forest where you can explore this pristine environment by hiking or using a kayak. Spend a night in the Muslim village of Ban Sam Chong.Nuea on the Phang Nga bay and experience this quaint way of life. Participate in handicraft and livelihood demonstration with your hosts. Make Tie Dye with natural dye and keep as a souvenir. Explore the majestic Phanga Nga bay by boat and explore the amazing mangrove eco-system by kayak. Feast on Southern Thai specialty dishes and learn how to make a local food with local ingredients. Khao Sok National Park, situated in Surat Thani province, is open all year round which makes it a perfect place to visit during the low season. There are added initiatives to visiting the park during this time. The jungle is a luscious green from rainfall and the limestone Karst cliffs look even more mystical with a mist hanging over their tops. Waterfalls flow at their fullest and the river is full for fun river tubing and kayaking activities. 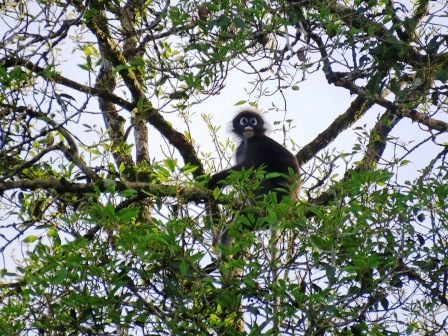 Check out our programs that will take you on a jungle exploration and peaceful floating bungalow experience on the Lake, where you wake up to the sound of Gibbon calls. For more information about our tours visit our website https://www.andamandiscoveries.com/ or contact us directly through info@andamandiscoveries.com for all the questions you may have about our programs. We hope to see you soon!